We're starting to make our mark in our community and we are proud to share! If you're a blogger, publication, or other media outlet, please contact us for more information. In October, Stationery Trends released their Fall 2018 Design Issue, which included a look at the Class of Top 40 Under 40. This program acknowledges the new generation of gift industry extraordinaires. From shop owners and managers to stationers and company founders, the Top 40 Under 40 pays homage to those under forty for their seemingly countless contributions to an incredible industry. through their own intuition. 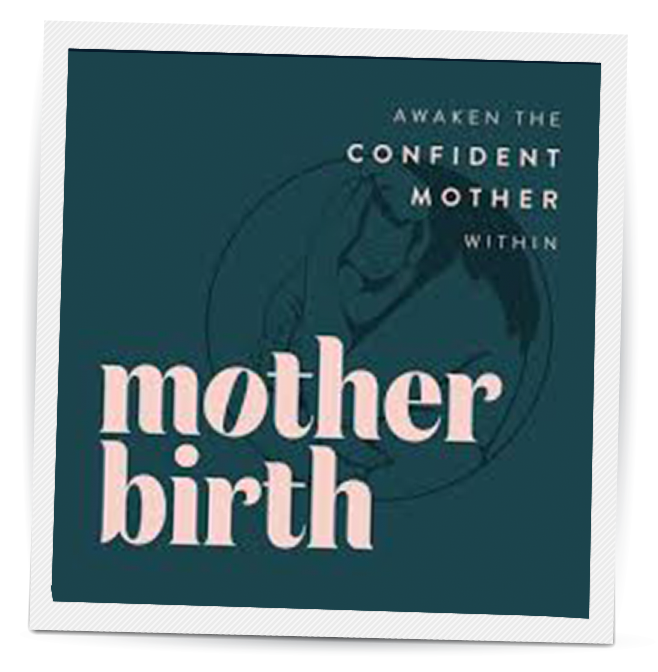 The Motherbirth podcast is hosted by two fabulous women—Melissa Reeves, a mother, writer, and birth-junkie/doula, and Laura Rice, a labor and delivery nurse, and childbirth doula. During Pregnancy and Infant Loss Awareness Month, Kate was honored to be featured on the October 18th release of the Motherbirth podcast: Miscarriage, Complicated Pregnancy & Birth. Listen to this powerful episode with Motherbirth’s own two experts, where Kate shares deep struggles of both her miscarriage, as well as her complicated pregnancy. Grab a tissue for this episode! Kate was honored to be selected among Stationery Trends 2018 Class of Top 40 Under 40. This program acknowledges the new generation of gift industry extraordinaires. From shop owners and managers to stationers and company founders, the Top 40 Under 40 pays homage to those under forty for their seemingly countless contributions to an incredible industry. Women Making Waves is a community for women who aspire to show up as their true selves and who define success on their own terms. Kate was honored to share her story and The Noble Paperie on the REAL TALK platform: a safe, judgment-free space for women to be vulnerable and to embrace their emotional struggles by sharing their stories of truth. The segment is meant to empower women to show up as their true selves and to connect them through their shared stories. Pregnancy & Newborn is a print magazine and online community that embraces the trials and triumphs of motherhood. Kate's and Sebastian's story and The Noble Paperie blog, was featured on the C-section birth stories page of their online community. The Messy Roads of Motherhood is a podcast hosted by Sarah Aschkenas, featuring women sharing their journey to becoming moms. Kate and the story behind The Noble Paperie was recently featured on Episode 12 of Season 2! To listen, search Messy Roads Podcast on iTunes, or head over to her website for the show notes and to stream the episode. Kate appears on the Pretty By Post Blog for their annual #SendCardsSpreadLove challenge! Kate shares her tips on what to send in support to someone walking through a season of grief. Make sure to check out Pretty by Post - offering subscription stationery boxes filled with indie, curated cards! The Morning is an online community of hope for women finding joy after miscarriage, stillbirth, or infant loss. Through their community, The Morning offers a reminder that no one is alone in their loss. They also provide resources to help navigate through a loss. Their resources include Stories of Hope: stories from mothers who have walked through a loss, to help another hurting mama realize she is not alone in her grief, her doubts, or her fears. Through these stories, healing can happen, and hope will be restored. Kate shared the story of her miscarriage, as well as the hope which inspired our Noble Greetings. We are honored to be offering support to such a strong and deserving community. #WeTheMamas is a movement and blog founded by Francesca Brunsden and Lysanne Louter of FRANNIE+LILO. After meeting in prenatal class, FRANNIE + LILO bonded over their shared struggles with postpartum depression and anxiety, child loss, and miscarriage. They eventually founded a clothing line to build awareness about these important issues and foster a positive space where women can talk about their motherhood journey. For every shirt they sell, they donate to child loss, miscarriage, and women's mental health charities. Our birth story and our Noble Greetings are both being shared on their site. We are honored to partner with them and have our products offered for the first time with a retailer abroad. Look out Canada, here we come! The Misses Ambitious is a podcast hosted by Kiley and Blaine, two small business owners. They started The Misses Ambitious to encourage, uplift, and support fellow #MagicalUnicornLadyBosses aspiring to make their dreams of a small business, a reality. Kate and the story behind The Noble Paperie was recently featured on Episode 63! To listen, search The Misses Ambitious Podcast on iTunes, or head to their website: www.missesambitious.com. One of our Noble Greetings was featured on '21 Heartfelt Cards To Give A Loved One Who’s Had A Miscarriage' list by Huffington Post! In honor of Pregnancy and Infant Loss Awareness Month, Huffington Post rounded up 21 cards to help comfort and support a family member, friend, or partner who's had a miscarriage. We are so honored to have been included in such a supportive list! Holy moly, what an honor! Kate's story and six of our Noble Greetings were featured on a Buzzfeed Article: "What This New Mom Did Will Melt Your Heart"! September is NICU Awareness Month, and we are elated that our cards have helped to spread awareness for a community that is so in need of support! Please share and help spread the love. Three of our Noble Greetings were featured on 'The Ultimate List of Infertility Support Cards' blog post by It's Positive! The It's Positive! website and blog was created with the mission to provide Gospel-centered encouragement to couples struggling with an infertility diagnosis. Meredith founded It's Positive! after battling infertility and PCOS herself, in the hopes of spreading strength, freedom, and encouragement through her own journey. We are honored to announce that our line of Noble Greetings for Miscarried Moms were featured as a spotlight on the Motherhood Tabutiful blog! Motherhood Tabutiful was created so all women and mothers could share their stories on the taboo subjects of motherhood in a safe and judgment-free environment. Additionally, Kate's birth story was also featured to share hope with other women struggling with difficult pregnancies. Kate appears on the Pretty By Post Blog in their Designer Feature series! An in-depth discussion on how The Noble Paperie came to be, what inspires us, and what #FierceLoyalty means to us. Check out Pretty by Post - offering subscription stationery boxes filled with indie, curated cards! Interview with Ranch + Coast in their October 2016 issue. Discussing Kate's complicated pregnancy, miscarriage, and how she is giving back to the community with her Noble Greetings!